My B.Sc. studies were focused on joint arthroplasty, especially lumbar and knee. I completed my bachelor in the field of biomechanics at Isfahan University in 2013 with a thesis on “biomechanics of lumbar arthroplasty” which led into manufacturing some primary design of intervertebral disc prosthesis. Having ranked the 40th among the students participating in the nationwide university entrance exam for M.Sc. 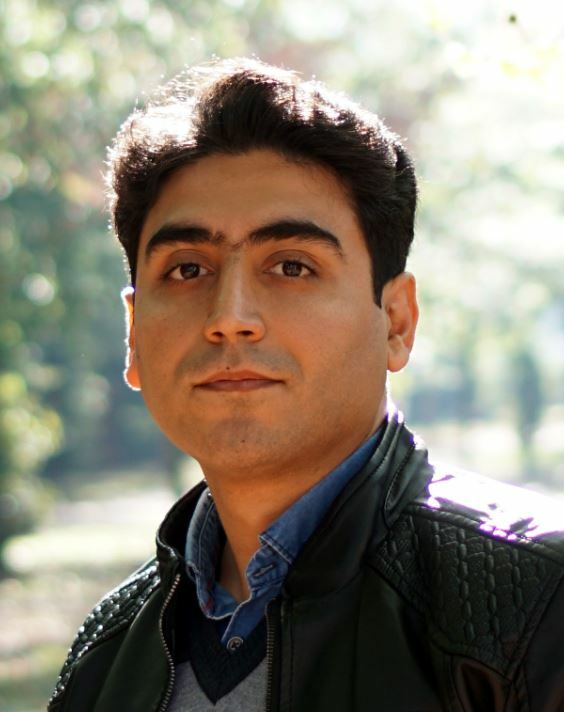 degree in Mechanical Engineering, Iran, 2013, I was qualified to enter Amir Kabir University of Technology (Tehran Polytechnic) in the field of biomedical engineering-Biomechanics. As a master student I was continuing on joint arthroplasty investigation and did the thesis on “mechanical comparison between 3 clinically approved disc implants to optimum design new disc prosthesis”. After graduation in 2016, I started working in the national medical device directorate in Iran as an orthopedic expert to set up regulatory rules for implant manufacturing factories. Following my practical experience in 2017 I started a new job as a technical supervisor at NAT Company, manufacturing spinal implants and knee prosthesis as well as trauma implants. In October 2018 I came to the Netherlands and started as a Ph.D. student at the Orthopaedic Research Lab under the supervision of Nico Verdonschot and Dennis Janssen. Total knee replacement is an alternative treatment to knee joint defects and nowadays it becomes more acceptable as new designs of implants are developed. However, like other treatments, there are always some factors that may affect the desired outcome of the knee replacement surgery which cause severe pain and dissatisfaction to the patients. In order to pain relief or failure correction of the primary total knee arthroplasty (TKA), revision surgery is suggested which has a lot of complications and costs. The aim of this project is to develop a computational study of the mechanical effect of TKA failure mechanisms in order to improve the knee replacement method, leading to increase the reliability of the knee prosthesis and decrease the revision complications. 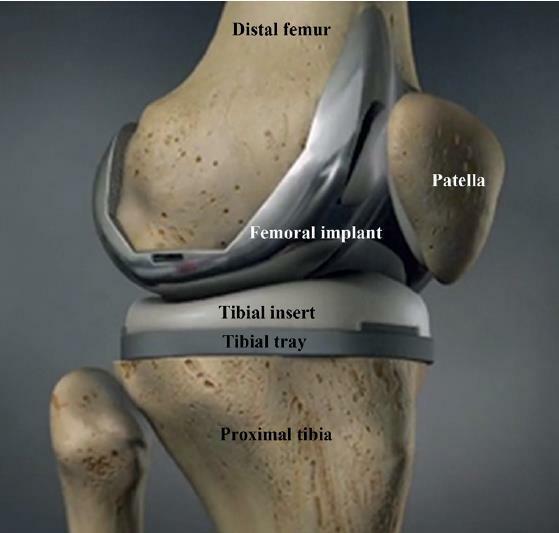 Figure 1: A knee joint with total knee replacement. The different bony and prosthetic parts are identified. Using a combination of experimental testing and computational modeling a biomechanical evaluation of total joint replacements could be developed. In terms of computational analyses, there are two distinct methodologies that are used: musculoskeletal (MS) modeling and finite element analysis (FEA). To ensure reliability of the model predictions, computational results will be validated against relevant clinical data.